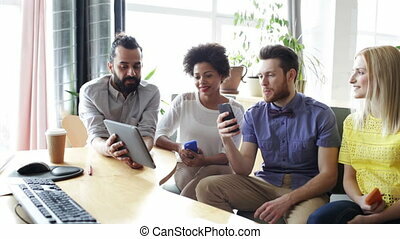 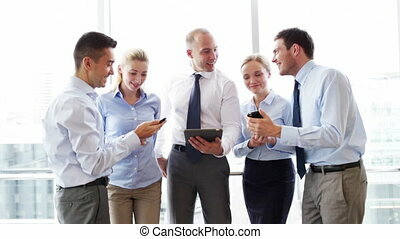 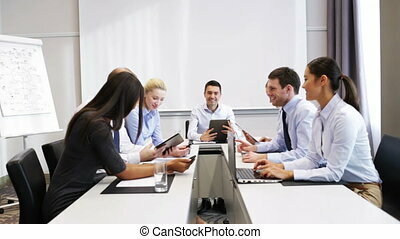 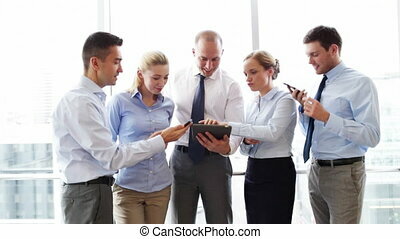 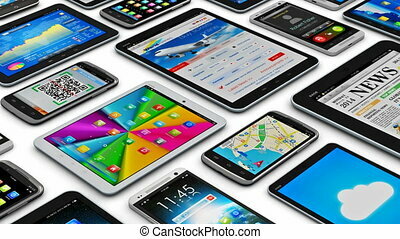 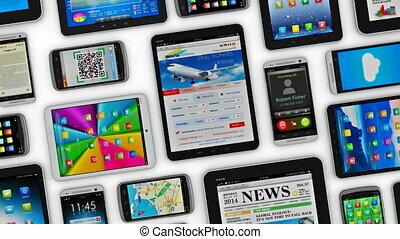 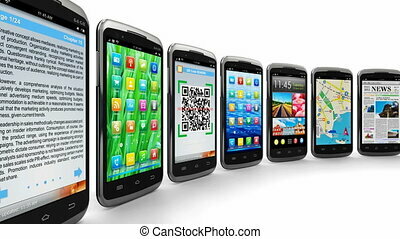 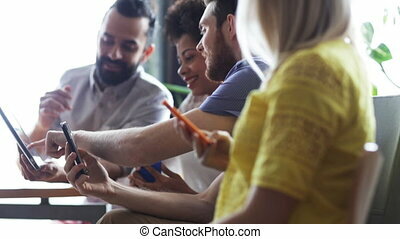 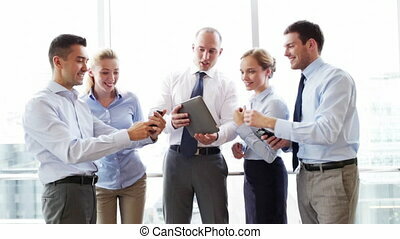 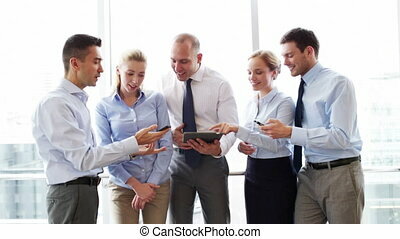 Business team with smartphones and tablet pc. 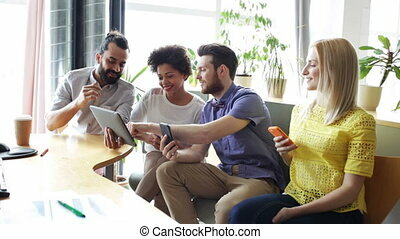 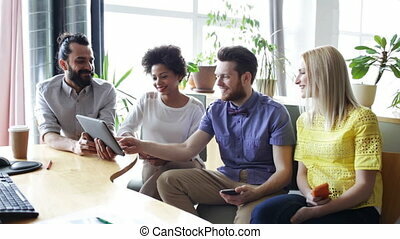 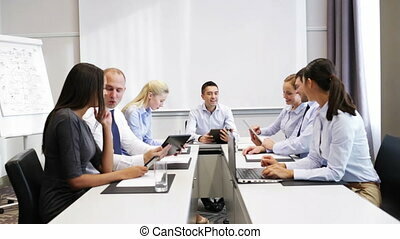 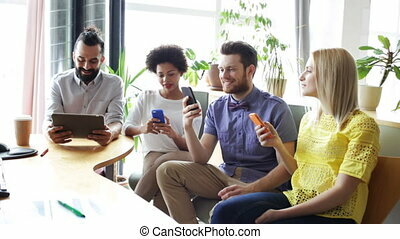 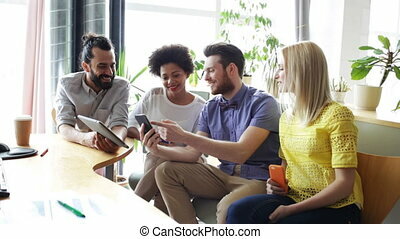 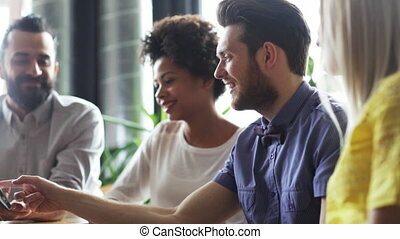 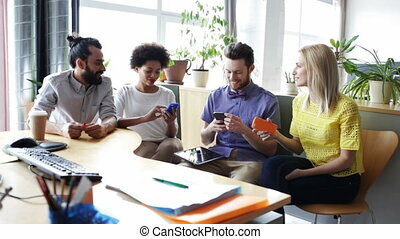 Business, technology, people and communication concept - creative team with smartphones and tablet pc computer in office. 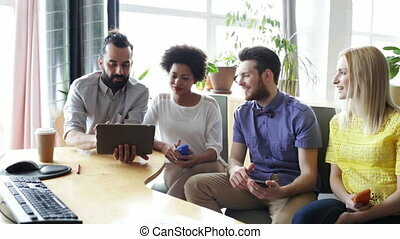 Three staff members discussing on a white tablet circuit house room. 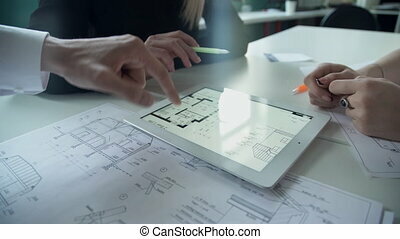 They took turns poking his fingers into the screen, which shows the layout of the building. 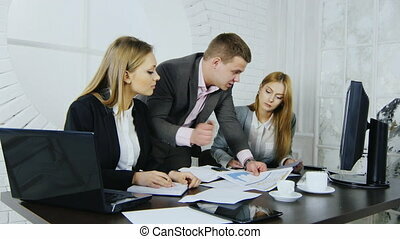 In the hands of women holding pen for writing. 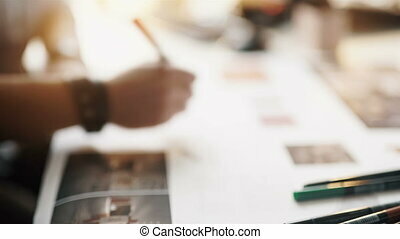 On the desktop, arranged printed documents for which there is a drawing with design elements. 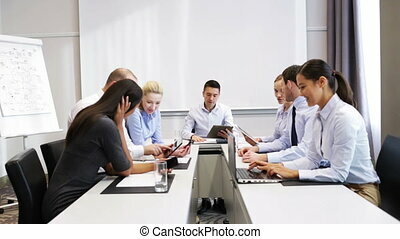 Architects and engineers at the meeting and decide the location of objects in the layout. 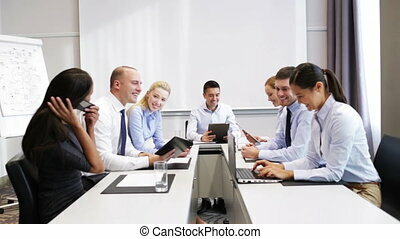 The office is bright and comfortable. 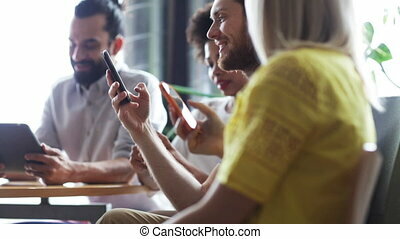 On the fingers in female manicure.